Fashion meets function, a stylish design pack that ticks every box. This washable paper backpack is part of our new technical paper range, which is water proof extremely light weight and super strong. This stylish backpack has a number of leather finishes, one internal zipped pocket and a magnetic close. The back straps are adjustable and detachable taking you from a day pack to night bag with little effort. A minimalist design approach with a go anywhere functionality. 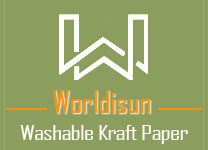 We are exploring the field of kraft washable paper bags now,and our factory imported the material from America directly.We accept OEM from clients,and we can produce any styles of the kraft bags according to cliets' need. And we can use the suede-like kraft paper to do handbags,brochures,annual report covers,document covers,presentation folders,menu covers,purses and so on.Our aim is: quality first, reputation first, customer first, service first.